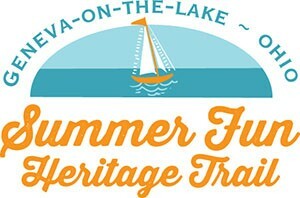 The Summer Fun Heritage Trail is a tourism enhancement project of the Geneva-on-the-Lake Visitor’s Bureau with support from the Civic Development Corporation of Ashtabula County, the Ashtabula County Board of Commissioners/Lodging Tax and merchants, property owners and friends of The Strip, GOTL’s business district. 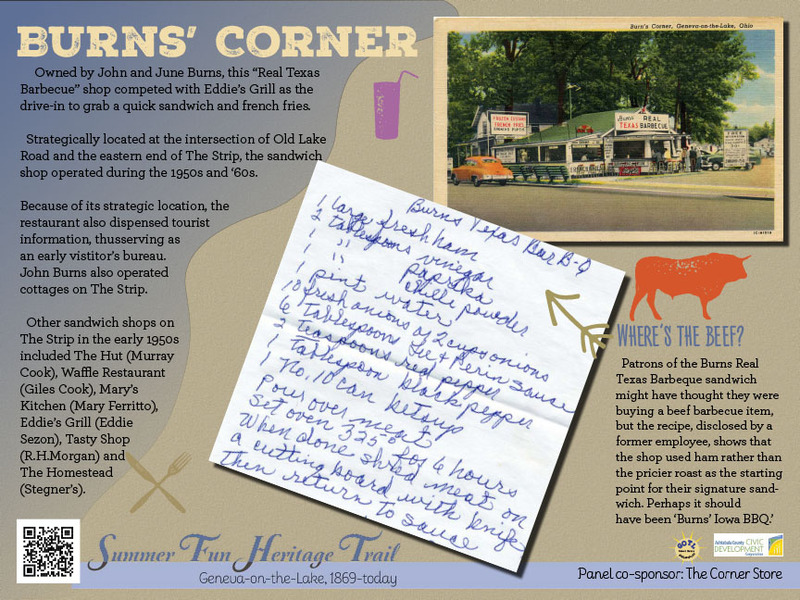 The website is an ongoing project that will become a virtual museum of Geneva-on-the-Lake, with contributions from owners and visitors, who are invited to submit their GOTL memories, photos and other media to be part of this collection. 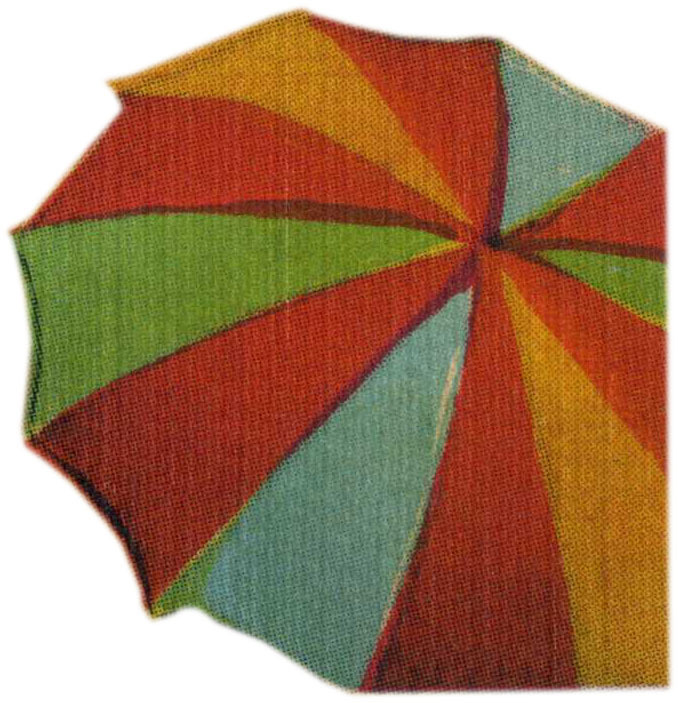 To that end, we have many pages on this website that provide, at a minimum, a photograph or advertising reference to cottages, restaurants, attractions or events connected to the village. Explore these links and add your knowledge of the subject by using our interactive response form. If you have photographs or memorabilia to share, please contact Carl E. Feather, who is responsible for designing this project. Yes, along the bike trail that connects The Lodge and Conference Center (Chestnut Grove) to the beach at the State Park are several interpretive signs, as well. Learn about Lake Erie, the area’s wine industry, Chestnut Grove and Cowles Creek as you walk/ride this two mile trail. These signs were placed by the Convention Facilities Authority and are not part of the GOTL funding arrangement. They are same size as the GOTL signs, however. The Visitors Bureau has received a grant from CDC to assist with the cost of the signs. The bureau is seeking matching sponsorships of $125 per sign. Sponsors will be recognized on the sign, one sponsor per sign. The cost of a sign and post can be $500 to $700, so this is a great deal for the sponsor! Ashtabula County’s Lodging Tax administrator is providing the design and research services for this project. A huge thank you goes out to Jack Sargent, who has supplied many of the images, as well as the information, for this project. Jack’s Geneva-on-the-Lake collection is top notch. We also have garnered images and printed material from the collection of Louis DiFabio, The Ashtabula County Historical Society, Platt R. Spencer Memorial Library, John Zimmerman, Carl E. Feather/Feather Cottage Media, and many more. The Cleveland Public Library and Cleveland State’s collection from the Cleveland Press also have been accessed and used for this project (credit given where these works appear). How do I get involved, sponsor a sign? Contact Don Woodward or the Chamber of Commerce/Visitors Bureau, 466-8600. How do I submit a memory or photo; suggest a site?